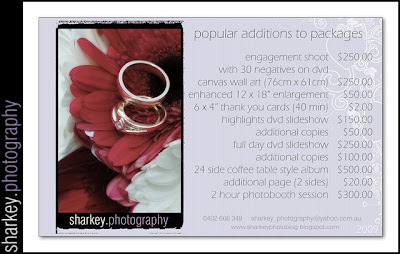 I am super excited to introduce you to our 2009 packages. 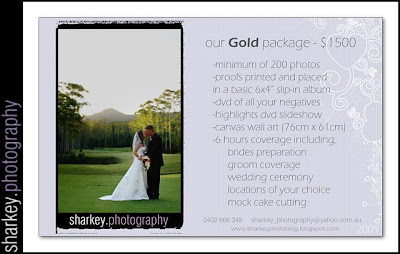 This year any and all of the great items and services that we offer can be added to packages at special prices to help you, my favorite clients, get what you want from your wedding photography. 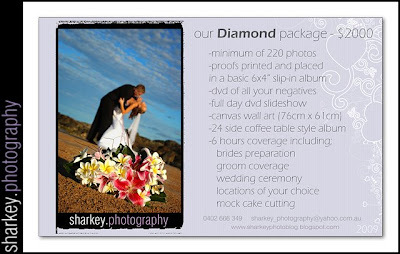 All packages include your negatives on a dvd, so now you are free to fill your world with your beautiful images.